Aussies were out in full force at Cosmoprof Asia, the B2B beauty event in the Asia-Pacific region that was bigger, better and busier than ever before. A total of 2,877 exhibitors were in attendance, an increase of seven percent since last year, while a total of 83,793 visitors went through the doors, a nine percent increase when compared to last year. This year, the two trade fair event was held at AsiaWorld-Expo (AWE) from November 14 to 16, and at the Hong Kong Convention & Exhibition Centre (HKCEC) from November 15 to 17, featuring more than 50 participating countries and regions over a total of 108,600 sqm of exhibition space. Cosmopack, which predominantly showcased packaging, machinery and equipment, was held at AWE while Cosmoprof, featuring the latest in cosmetics, salon equipment, nails and accessories was held at HKCEC. Inskin Cosmedics CEO and founder Maria Enna-Cocciolone was there exhibiting the O Cosmedics range for the second year in a row, and her latest skincare brand, Ginger&Me Neurocosmedics, with co-founder Nicola Quinn. Maria said she there were some “revelations” at the expo. “I’ve found there are some really interesting ways to build business that aren’t so difficult or people dependant,” she said. “But the beauty industry is so huge, and if we’re not careful we are going to disconnect from human interaction, which is the irony as it’s such a hands-on business. 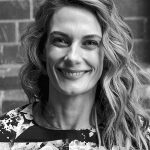 Debbie Dickson, head of education, research and development at DMK Australia and New Zealand, was there with husband Daniel, showcasing their Regul8 dietary supplement range for the first time at Cosmoprof Asia. She said there was a “lot of really positive good, leads from countries all over the world like the UK, India, Saudi Arabia, Hong Kong, China and the Philippines” but it was important they “got the right people on board” for distribution. Dr Ginni Mansberg, founder of ESK with husband Daniel Rubinstein, said Cosmoprof Asia was “absolutely crazy” but Australian products were generally well received. “There is a lot of interest in Australian products generally, but everyone is looking for something new, something they’ve never seen before,” she said. 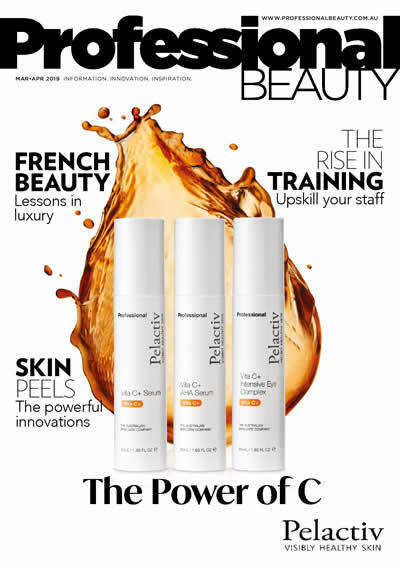 Simon Hill, the director and co-founder of Vida Glow (a natural marine collagen supplement), said there were “a lot of people at these events looking for new ideas or ideas to copy”. “We would recommend new Australian brands that exhibit to limit photography and screen people before handing out too much intellectual property,” he said. 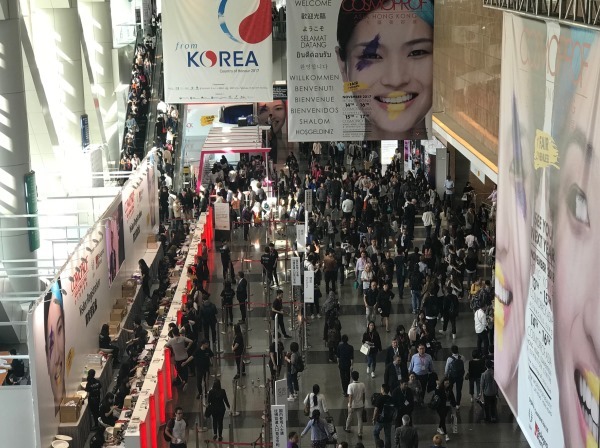 Korea was the country of honour at this year’s expo and there were plenty of K-Beauty trends to witness over the course of the event. Save the date: Cosmoprof Asia 2018 will take place from November 13 to 15 at AWE and from November 14 to 16 at the HKCEC.